A few months back I got Keratin Hair Treatment done at Neu Salonz as my hair was becoming extremely dry and frizzy thanks to the frequent hair coloring sessions. While Keratin instantly shows results making your hair look softer and shinier but alot depends on the post treatment care. One must use SLS free shampoos and intensely nourishing conditioners/ masks to retain it longer. 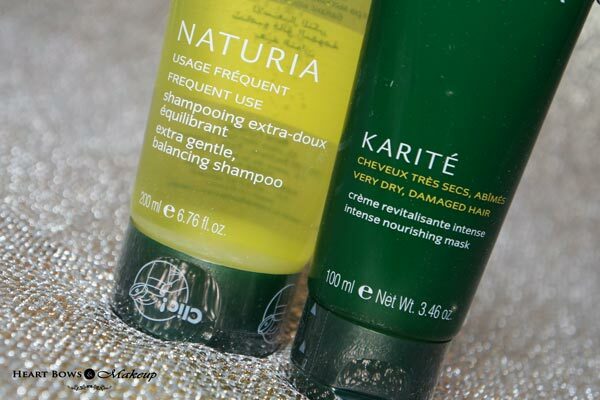 That meant I had to change my haircare routine and I chose to switch to Rene Furterer which is a French haircare brand that focuses on using natural plant extracts and essential oils. Today I shall be reviewing their shampoo and mask, a combination of which had made my hair’s condition much better. 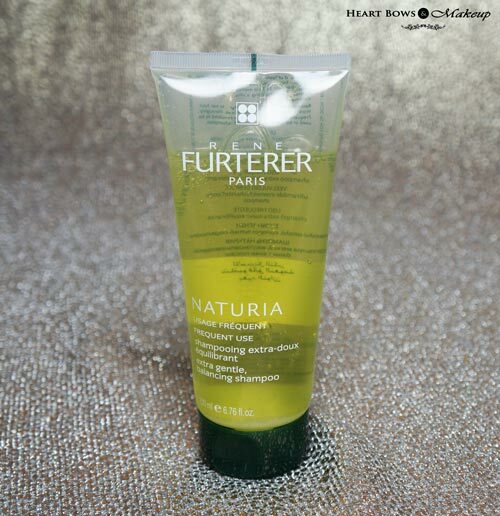 The Rene Furterer Naturia Gentle Balacing Shampoo (detailed review here) is packaged in a plastic translucent bottle with a flip open cap. It has a slightly runny consistency with a light fragrance which will not irritate those with a sensitive nose. When I had earlier used the shampoo, I wasn’t too fond of it as I prefer using shampoos that lather well. Since this contains low amount of SLES, it does not lather alot which left me feeling unsatisfied. I’m one of those people who feel their hair is clean after a good amount of lathering. However, now that I needed SLS free products to maintain the keratin treatment, this was the perfect choice. I have been using it for over 2 months now and my hair feels bouncier and less frizzy. I do end up using more quantity than I usually need to clean my hair but its a small price to pay for healthier hair which isn’t so dry and frizzy anymore. If you are looking for a good SLS free shampoo then this can be a great option for you. 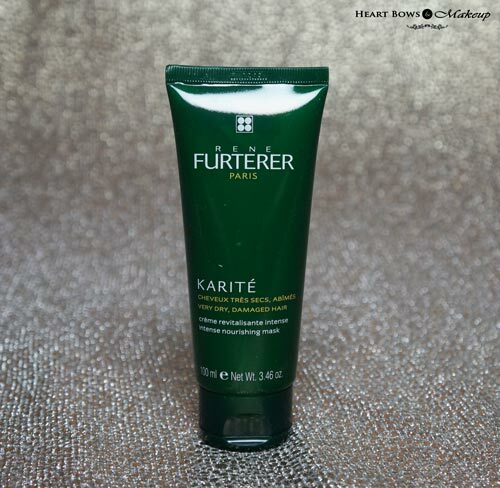 The Rene Furterer Karite Intense Nourishing Mask is packaged in an opaque green squeez-y tube with a flip open cap. It has a very creamy consistency which is a light yellow in color. I use it after every hair wash and apply it for a good 5-10 minutes depending on my mood. Like the name suggests, it’s an intensely nourishing hair mask for very dry hair so take care not to apply it to your scalp as it can make it very oily. I majorly focus on my mid-length to my ends. It shows results from the first use itself. My hair feels softer, less frizzy and very shiny after use. Initially I felt the price was too high but you only need a little product and for the results it shows, I would definitely be purchasing it again. 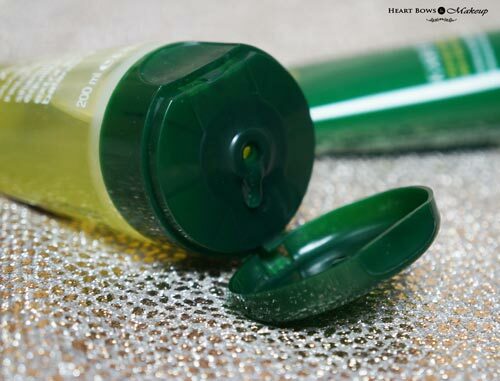 If you have very dry and frizzy hair then you must check this out. 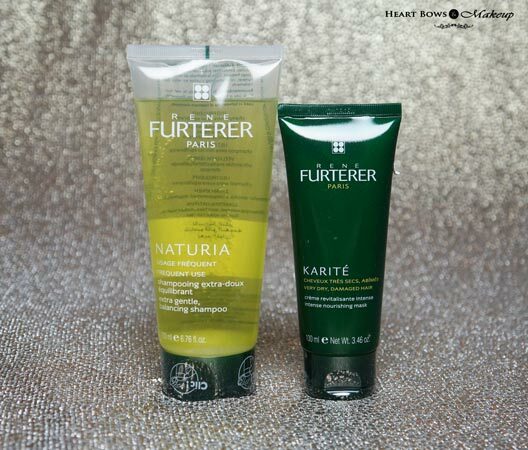 HBM Recommendation: Rene Furterer is one of the best haircare brands which has always worked well for me. The combination of their Gentle Balancing Shampoo + Intense Nourishing Mask has made my dry hair more manageable, softer and less frizzy. The price is definitely on the higher side but the quality is well worth it. 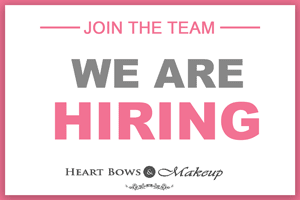 Best Affordable Beauty & Makeup Products In India Under Rs 150!